Pottermore’s Twitter account revealed this afternoon the first official artwork for the upcoming Potterverse stage production, Harry Potter and the Cursed Child. As we still don’t know who the child in question is, the only real clue we have is J.K. Rowling’s constant push that this story is not a prequel to Harry’s, but it DOES relate to Harry somehow. She has been tight-lipped regarding just about every aspect of the show so far, but we hope to continue to learn more as the premiere sneaks closer. 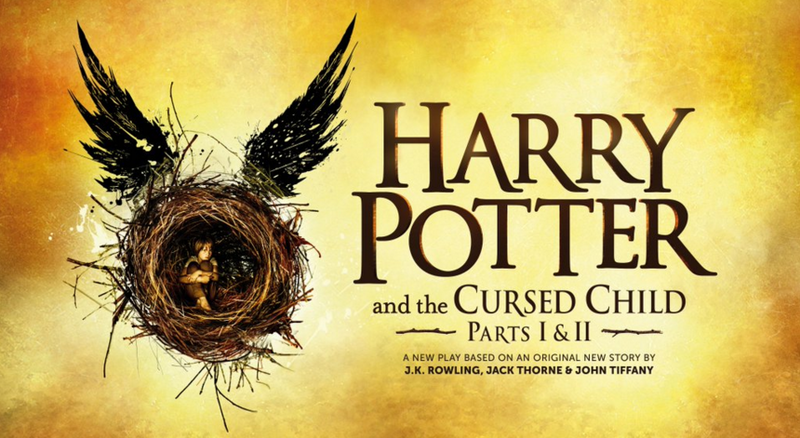 Harry Potter and the Cursed Child will be directed by John Tiffany with movement by Steven Hoggett, will have set designs by Christine Jones, costumes by Katrina Lindsay, lighting by Neil Austin, music by Imogen Heap, sound by Gareth Fry and special effects by Jeremy Chernick. The production is based off of an original story by J.K. Rowling, Jack Thorne and John Tiffany. The show premieres in London’s West End in the Summer 2016 at the Palace Theatre. My guess is Remus Lupin! SO much yes! I absolutely adore the character of Remus. It would be incredible to see more of his life played out. I hate that I’m living so far away! Same here! I sure hope that they film it and play it in theaters!